Maia and her family raise dragons for the political war machine. As she comes of age, she hopes for a dragon of her own to add to the stable of breeding parents. But the war goes badly, and the needs of the Dragonry dash her hopes. Her peaceful life is shattered when the Summer Dragon--one of the rare and mythical High Dragons--makes an appearance in her quiet valley. 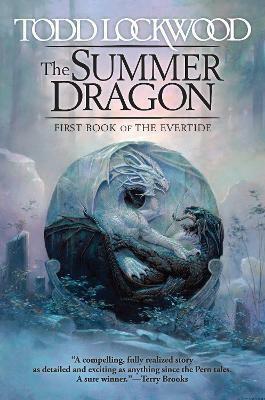 The Summer Dragon is an omen of change, but no one knows for certain what kind of change he augurs. Political factions vie to control the implied message, each to further their own agendas. And so Maia is swept into an adventure that pits her against the deathless Horrors--thralls of the enemy--and a faceless creature drawn from her fears. In her fight to preserve everything she knows and loves, she uncovers secrets that challenge her understanding of her world and of herself.